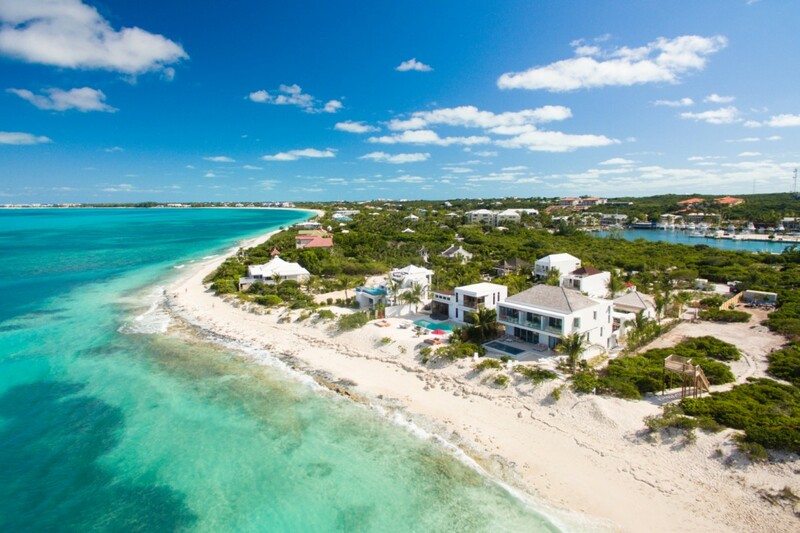 Villa Dunes 1 at Grace Bay, Turks & Caicos. 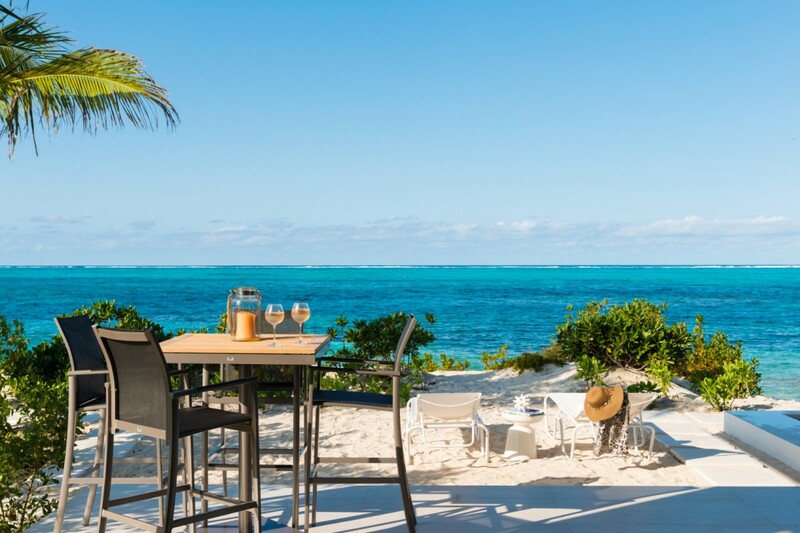 It is tough to compete with something as beautiful and world famous as the beach along Grace Bay in Turks & Caicos, but most agree that The Dunes 1 at Grace Bay is an ideal match to this stunning setting. 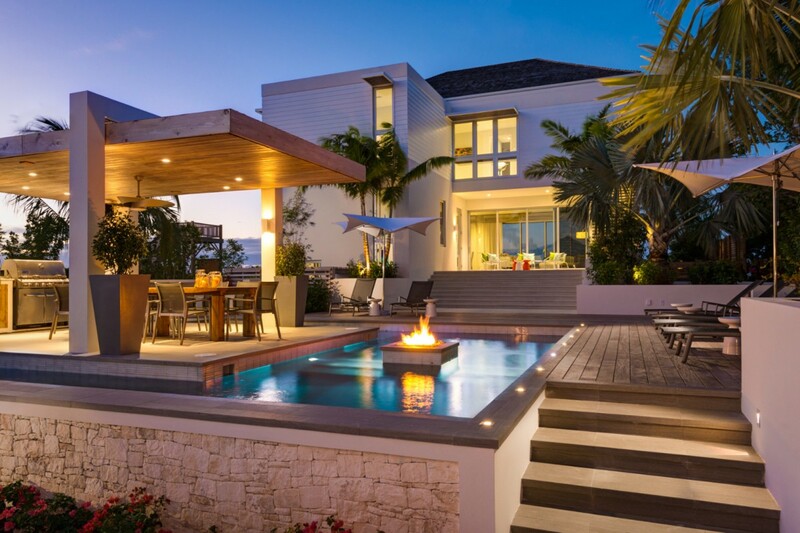 A true architectural masterpiece, it makes the very most of its setting and its scenery. 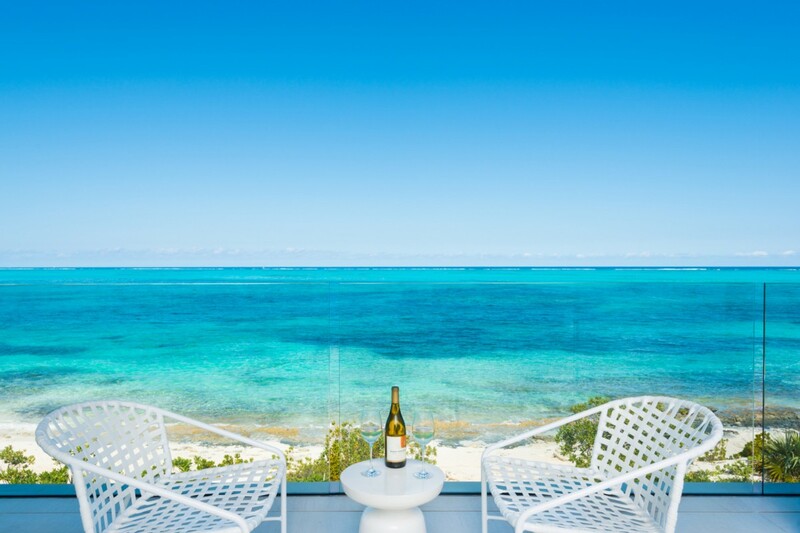 Overlooking Smith Reef, it also provides something rare in the world of private villas, and that is total access to two nearby resorts. 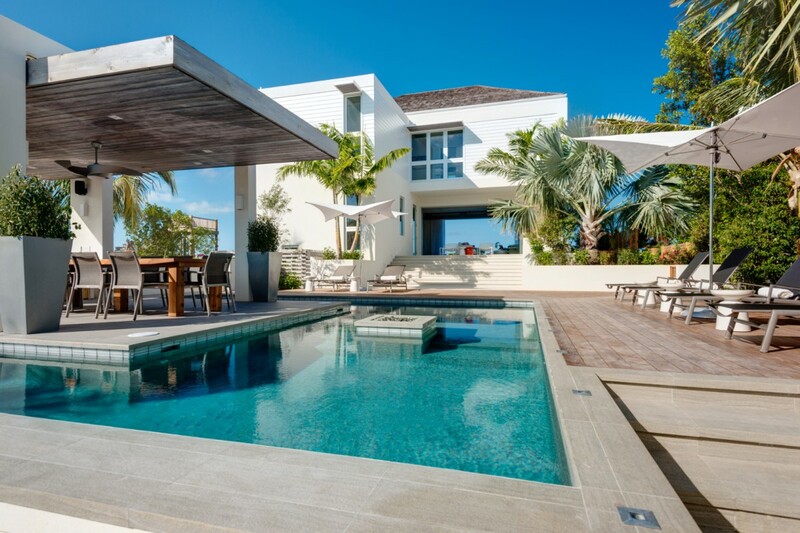 Guests of this villa have full access to the amenities of nearby Grace Bay Club and West Bay Club, offering an ideal balance of total privacy and luxury along with the many pleasures of world-class resorts. 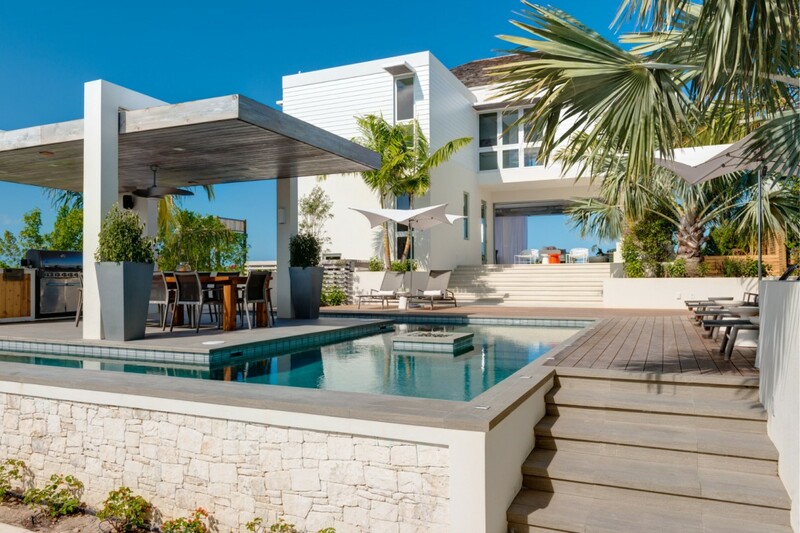 While the focal point for this property is the waterfront, the rear of the villa is a stunning spot too. 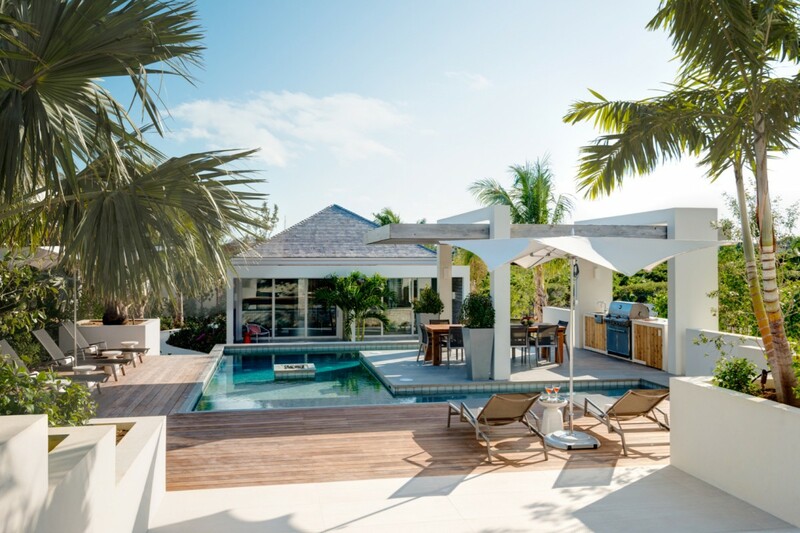 Here you find an unprecedented pool terrace that features an island barbecue and al fresco dining spot, along with a fire pit, but in the center of the pool. 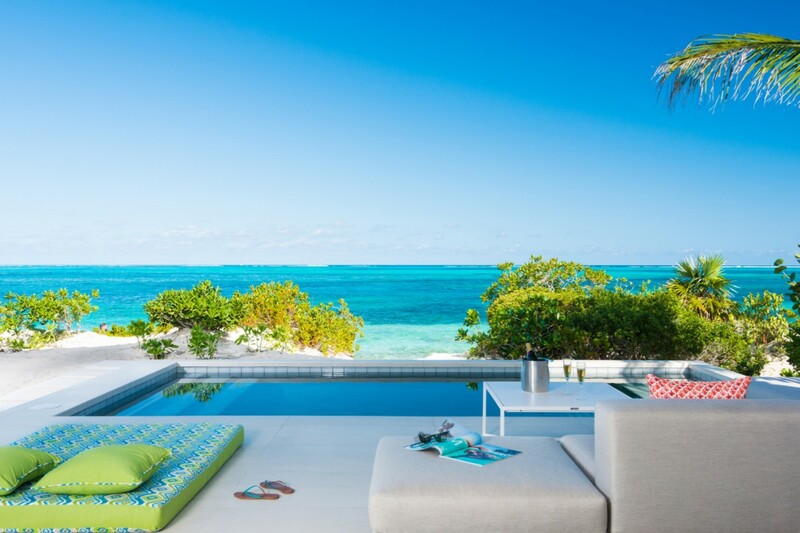 The sun deck is fully furnished with an array of lounges, and the entire property is surrounded by the swaying palms that offer total privacy. 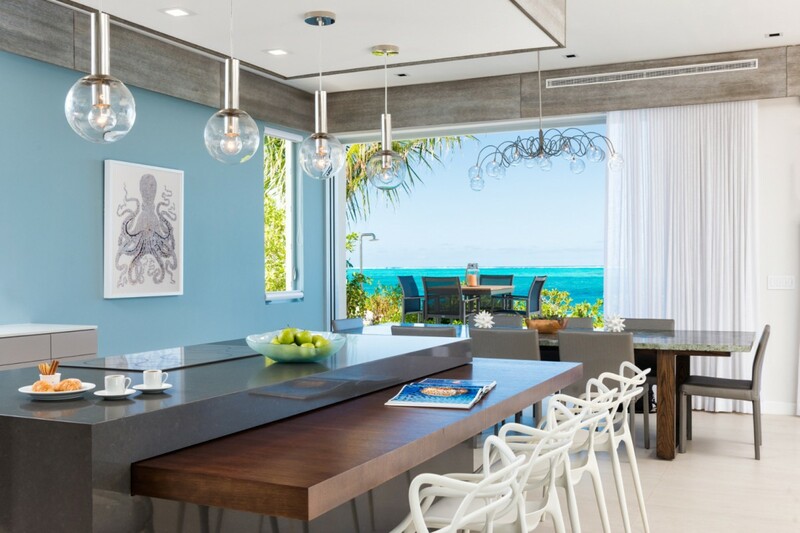 The interior has been carefully designed to capture the outdoors, enormous windows and doors bring in those sea breezes, and the high ceilings and contemporary décor do a remarkable job of creating a soothing and yet dynamic space. 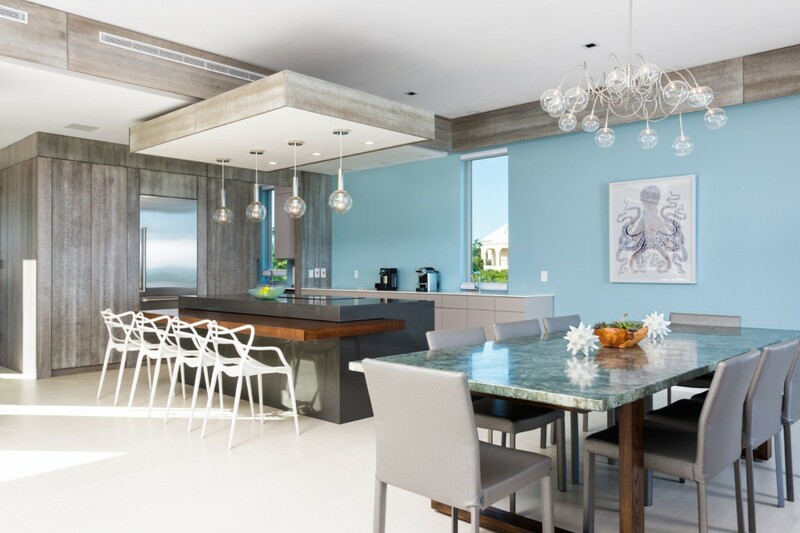 The great room features a media and lounge area, formal dining, and the full gourmet kitchen with breakfast bar. 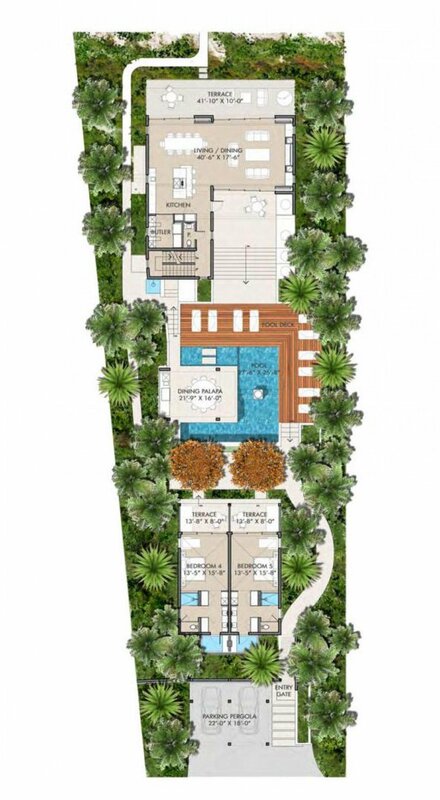 The five bedrooms are all destinations in their own right. 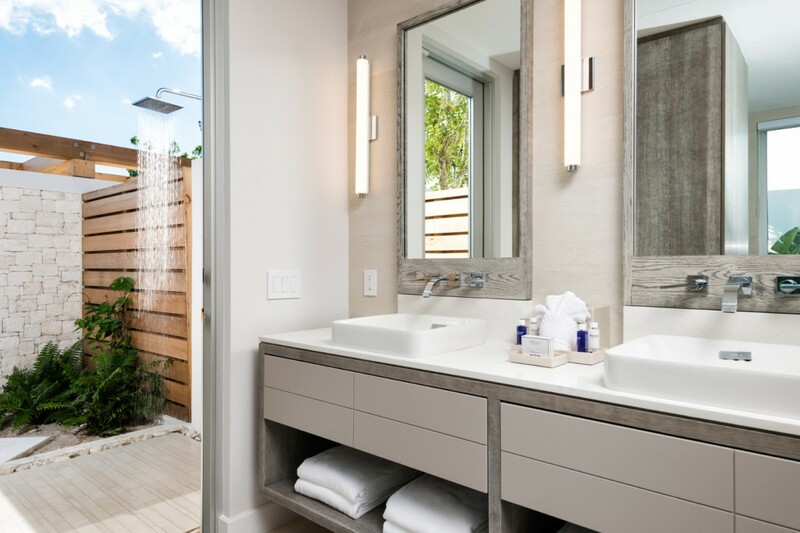 The upper floor master suite features a private balcony with views to the see and a large ensuite bath. 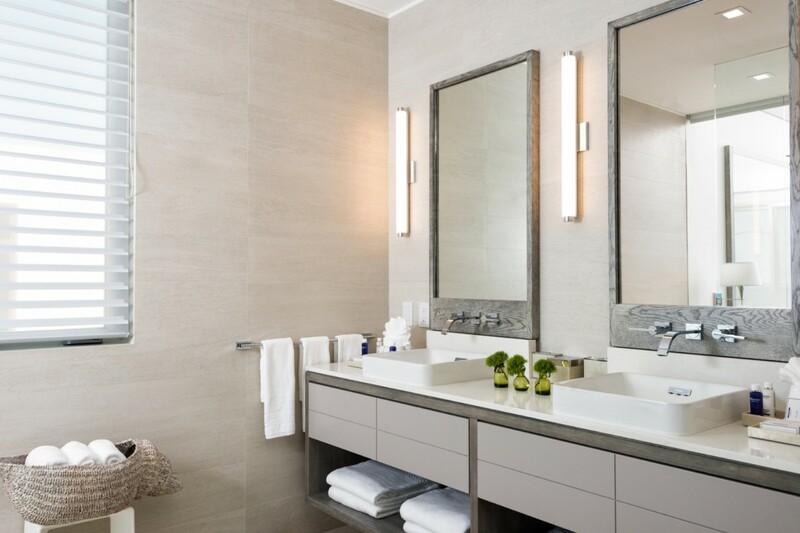 The other upper floor suite is a king room with balcony and bath. 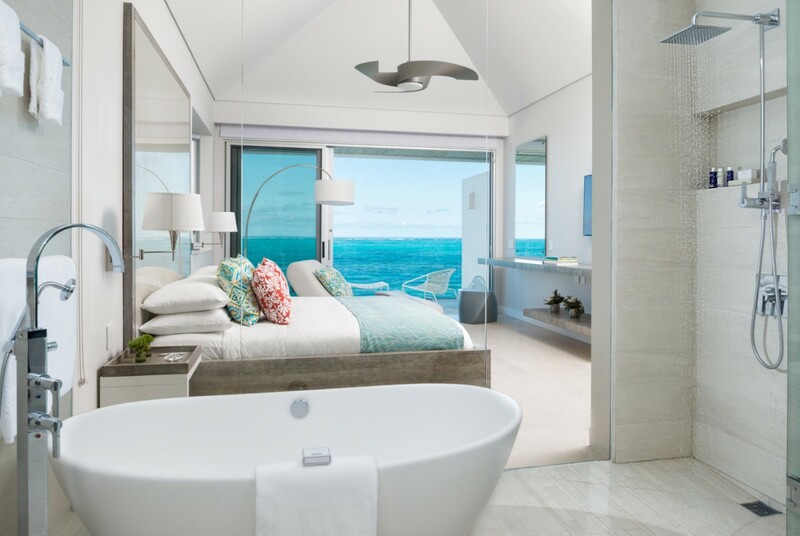 The two lower level suites feature king beds, balconies, views, ensuite baths and outdoor showers. 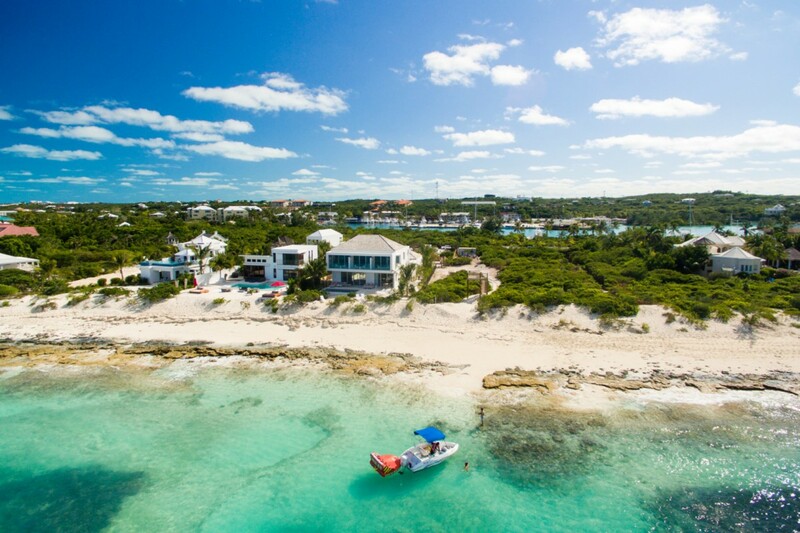 The Villa the Dunes 1 at Grace Bay is a rare find and one that can provide you with the best of all possible worlds - resort amenities and a large, private and luxurious home to gather, relax and rejuvenate. 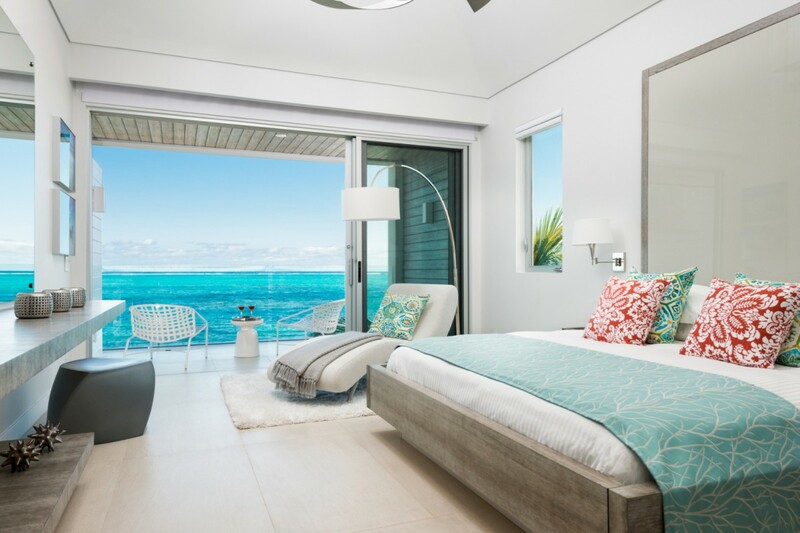 Bedroom 1: Upper floor Master bedroom with a king-size bed, A/C, ceiling fan, TV, private balcony with sea views and en-suite bathroom with bathtub, shower, double vanity and WC. 2 guests maximum. 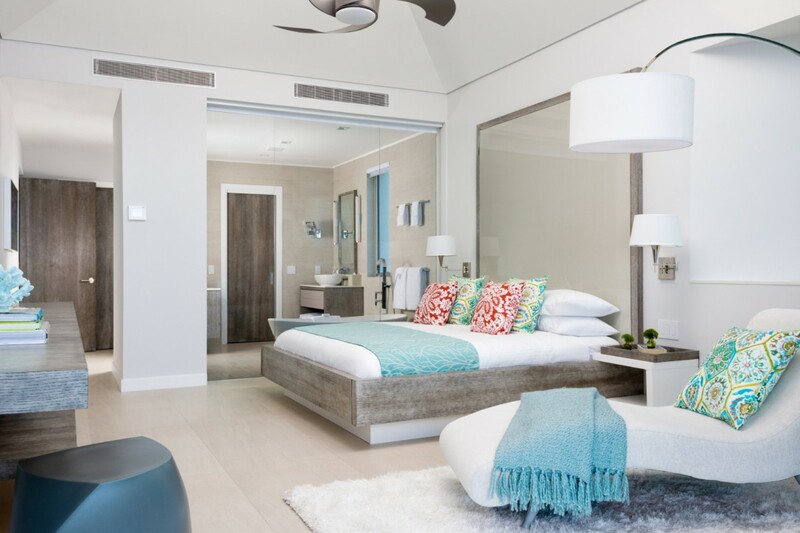 Bedrooms 2 & 3: Upper floor bedrooms with a king-size bed, A/C, ceiling fan, TV, private balcony with sea views and en-suite bathroom with shower, double vanity and WC. 2 guests maximum. 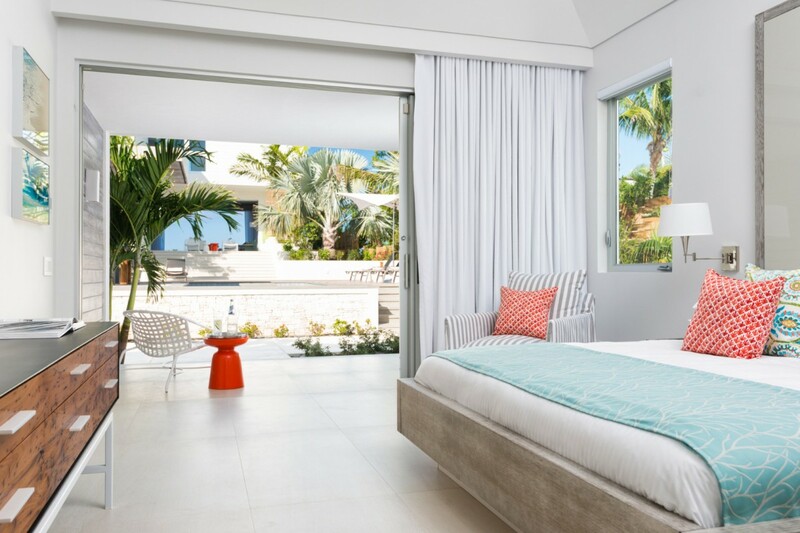 Bedroom 4 & 5: Ground floor bedrooms with a king-size bed, A/C, ceiling fan, TV, private balcony with sea views and en-suite bathroom with indoor and outdoor showers, double vanity and WC. 2 guests maximum. 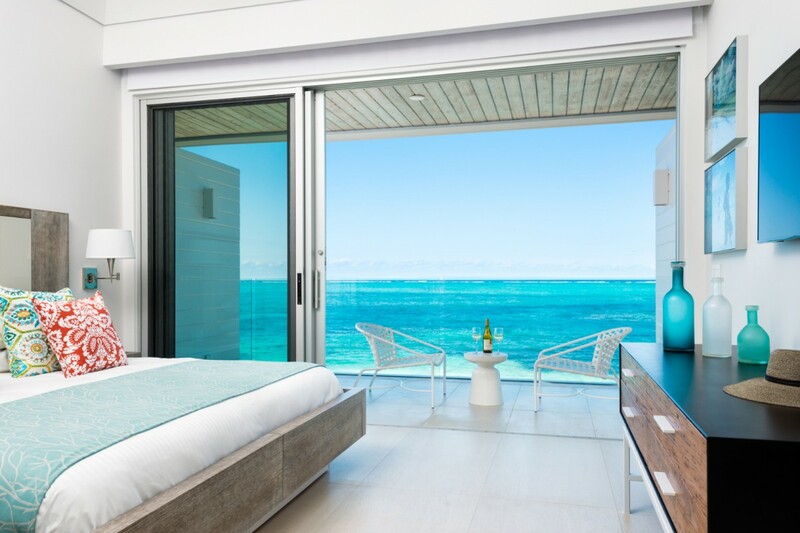 The Dunes 1 at Grace Bay is offering 30% off for travel between April 18, 2019 and December 16, 2020. Promotion applies to the 3, 5 bedroom rate category. 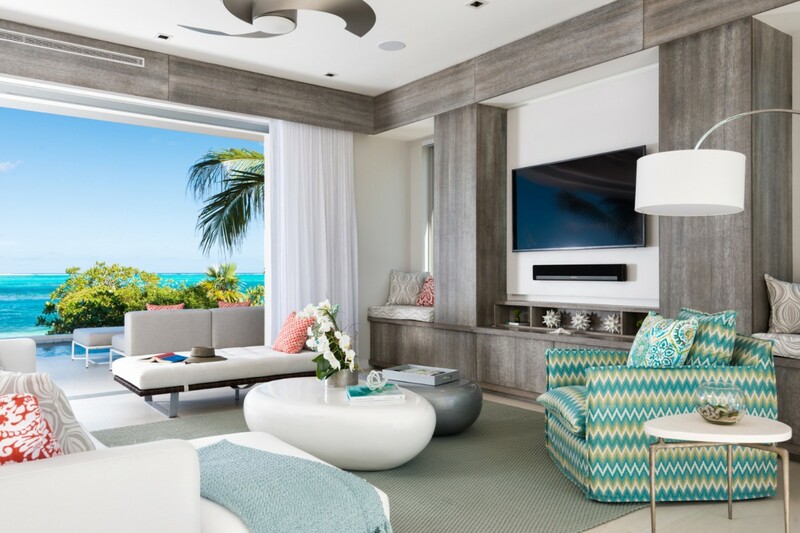 The Dunes 1 at Grace Bay is offering 25% off for travel between April 18, 2019 and December 16, 2020. 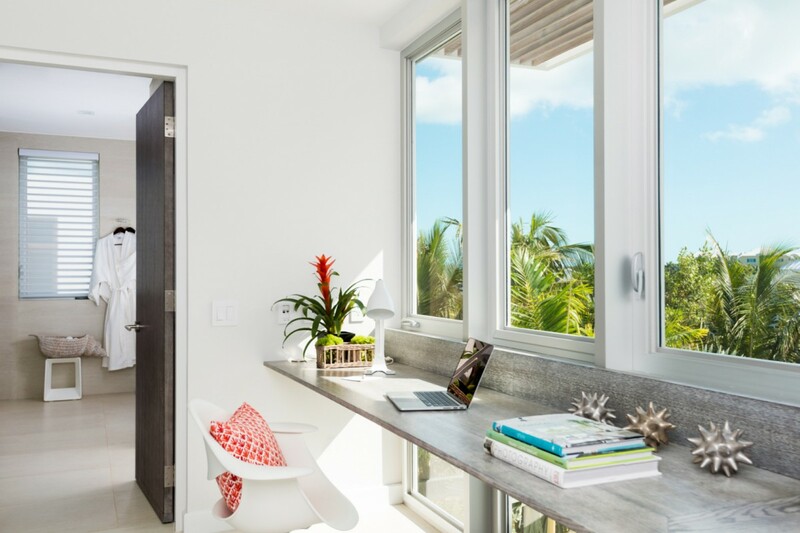 The Dunes 1 at Grace Bay is offering 20% off for travel between April 18, 2019 and December 16, 2020.